I coulda had class, says failed fighter Terry Malloy with all the bruised brilliance Marlon Brando could muster. Maybe so, but On the Waterfront did have classclass acting, class writing, class cinematography, and class warfare. Controversial for its allegations of corruption in the longshoremens union, the production itself was chock-full of friendly witnesses at the HUAC hearings, director Kazan, writer Budd Schulberg, and actor Lee J. Cobb among them. 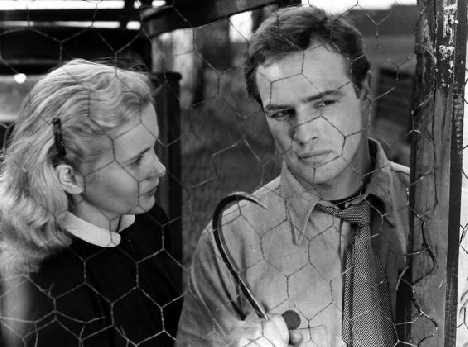 Still, Brandos damaged dockworker, deserted by his brother (Rod Steiger) and vigorously defended by Father Barry (Karl Malden), stands as a memorable Method performance amid a coarse realism drafted by that left-leaning lenser Boris Kaufman.